This is the Victor’s Crown – for those who Disciplined their Bodies, and brought their Bodies unto Subjection— and had Self-Control. Will you win your Victor’s crown? 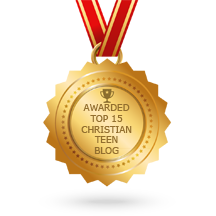 This entry was posted in A CLICK A BLESSING TODAY, CHRISTIAN FOUNDATIONS OF BELIEF, CHRISTIAN LIFE AND THE WORD, CHRISTIAN TAGALOG BLOGS, CHRISTIAN TEENS BLOGS, CHRISTIAN URDU BLOGS, GOOD NEWS FOR YOU and tagged discipline, Rewards, rewards in heaven, self-control, victor's crown. Bookmark the permalink. Amen! And His grace is sufficient for us. If I – or anyone else – wins a victor’s crown, it is ONLY because they allowed Christ to rule and to empower and enable them to live a disciplined life for Him. What a privilege it will be to acknowledge HIS victory and lay the crown at His feet. He alone is worthy!